« Open Wednesday this week. Here’s why you should be there…..
Visit us at Aphrodite for a glass of wine between 3 and 5 pm. Forget Oak Island, the South Shore’s real treasure can be found in the soulful voice of Laura Smith. Smith and I met when we were both appointed to a housing committee. For two years we sat next to or across from each other. Her contributions during discussions were thoughtful and balanced. Although I learned recently that other committee members were aware of her background, I was clueless, until I happened to glance at a book on display at a Lunenburg antique shop last year. Open to a two-page spread — which consisted of the editor’s introduction, a photo of Smith and Smith’s first-person account of her eventful journey as a professional musician — the book was placed beside a small stack of CDs entitled Everything is Moving. Smith wrote that she started writing songs at 19, playing with a borrowed guitar. At 22 she first stepped on stage to perform at the folk club where she worked as a cook and waitress. She played for friends, then at concerts and festivals in her hometown of London, Ont. and in nearby Hamilton. Her music was influenced by the likes of Bob Dylan, Joni Mitchell, Janis Joplin and Laura Nyro. “Listening to them, it proved to me that I had a voice, that I had things worth saying, that I could channel my emotional energy into song. I love poetry and being able to combine words and music is very emotionally satisfying,” wrote Smith. Now residing in Mahone Bay, Smith moved from London to Toronto in 1975, then to Cape Breton in 1984. She also called Halifax home for a while. Her debut album, Laura Smith, was recorded in 1989. Her first single release, Shade of Your Love, was a top 10 hit across Canada in 1995. She also recorded with The Chieftains. Accolades continued through the 1990s. Smith’s second album, the nationally acclaimed B’tween the Earth and My Soul, garnered two East Coast Music Awards for Female Artist of the Year and Album of the Year and two Juno nominations. Her third album won her a coveted Gemini Award. Smith continued to perform on stage through the 2000 decade, but her musical life was impacted by three debilitating accidents which left her dependent on pain medication. She absented herself from the music scene until 2010 when she finally overcame her struggles and started performing again. Meanwhile, in the middle of it all, Smith was awarded an Honorary Doctorate in Humanities from Mount Saint Vincent University, in recognition of her significant contributions to songwriting. In 2013, Smith’s first album in 16 years, Everything Is Moving, was released by Borealis Records. Celtic music writer and radio host Bill Margeson was also stunned by Smith’s voice and lyrics. In 2010, Margeson’s LiveIreland awarded My Bonny the distinction of Song of the Decade. 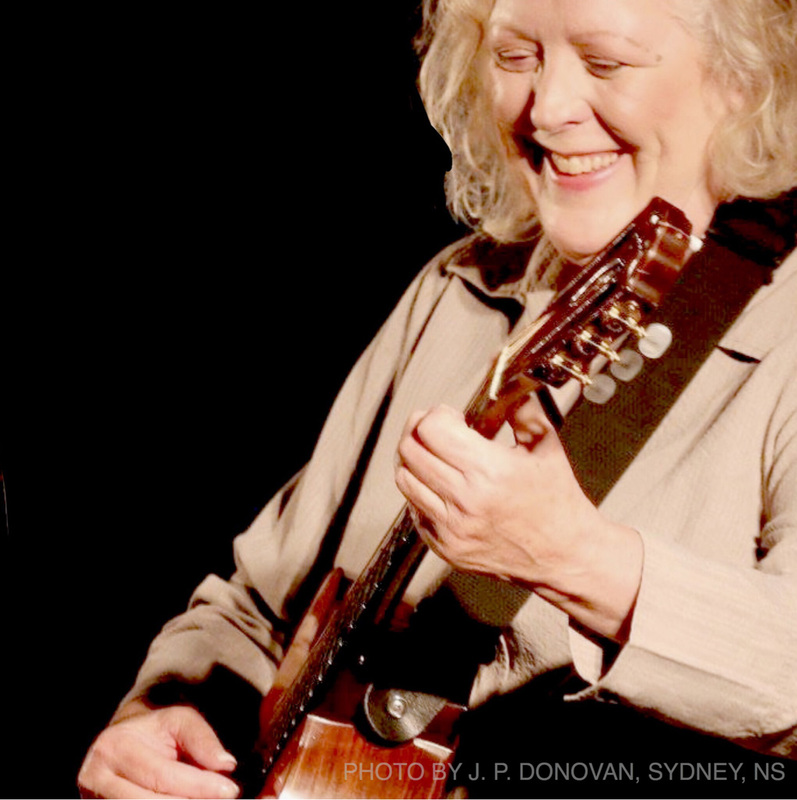 Although she has performed in the past at places like the Rebecca Cohn Auditorium in Halifax, Smith performs these days at smaller, more intimate venues, including private home concerts. Last June, my wife and I travelled to the Evergreen Theatre in Margaretsville to see Smith and Kim Dunn perform. All 70-plus seats were sold out. The appreciative crowd, all of whom appeared to be long-time, loyal fans, gave two richly deserved standing ovations to Smith and Dunn. And last month the duo performed to a capacity crowd of 90-plus at The Union Street in Berwick. “There was electricity in the air. There was great excitement and anticipation. Laura performed there in the cafe’s early days, and we both felt really comfortable in that room,” said Dunn, himself an accomplished singer/songwriter/pianist who has shared the stage with Smith for nearly four years. Performing for more than 35 years, Dunn earned a music degree at St. Francis Xavier University, then launched his music career playing in a cover band. He and his family live in Boutilier’s Point. Dunn believes Smith, who is in her 60s, is only getting better with age and experience. “Laura’s songs are so deep lyrically. As she ages, she is bringing more meaning to her songs. They are more powerful now that she is singing them with all the experience behind her. You really get the sense Laura lived some of those stories,” he said. Smith and Dunn will perform together at six southern Ontario venues in April, then B.C. in May. Here’s what I’m thinking. Someone should produce a Smith and Dunn concert at the Rebecca Cohn Auditorium. My bet is the place would be sold out, perhaps even for more than one performance. Laura Smith is indeed moving — forward, at her own pace, with her star shining brighter than ever. Peter Simpson is a veteran journalist and former CEO who now lives in Nova Scotia. His latest column, Here’s What I’m Thinking, which chronicles provocative random thoughts on a broad spectrum of topics, appears monthly. Tiiu, I can’t thank you enough for your continued support, my friend, but here’s a Thank You! until I can give you a hug. See you June 2nd!